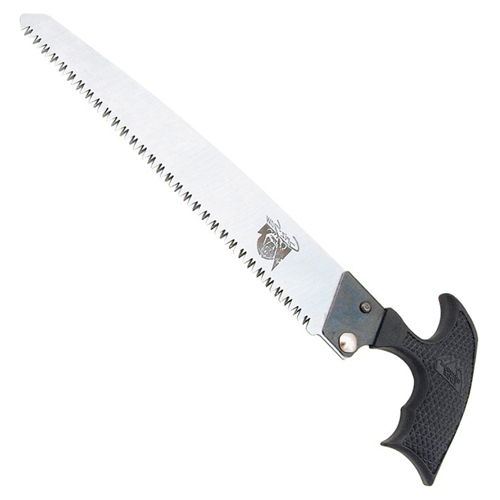 The Griz-Saw cuts smarter, so you don’t have to work harder. The 8-inch blade is diamond cut from 65Mn spring-steel with triple ground teeth that easily hack through bone, hide, and wood. 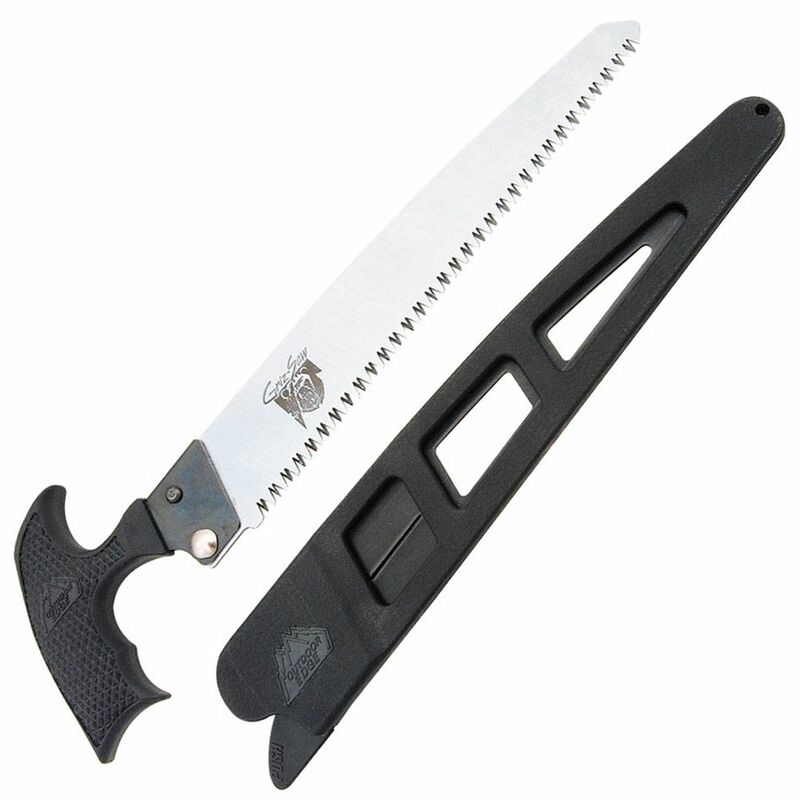 An ergonomic T-handle allows for straight wrist cutting at any angle, maximizing leverage and reducing fatigue. The package includes a quick-release locking sheath and swivel clip attachment, so you can keep your saw on hand when camping or hunting.